A new study has found that the networks of emotional and behavioral symptoms observed in elementary school girls could indicate later difficulties with anxiety and depression as adolescent and young women. The Quebec, Canada-based assessment of nearly 1000 elementary school girls by an international team of investigators found evidential reason to believe bridge symptoms could be integral in pre-assessing girls for anxiety disorders. 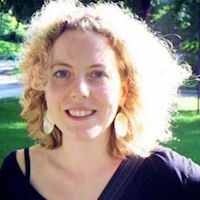 Led by Alexandra Rouquette, MD, PhD, of the Center for Research in Epidemiology and Population Health of the French National Institute of Health and Medical Research in Paris, France, the investigators believe they have produced the first network-based longitudinal study of broad symptoms in girls aged 6-10 years and their eventual role in emerging depression and anxiety in later years. Investigators utilized the collected results of the ongoing, population-based Quebec Longitudinal Study of Kindergarten Children for its participant pool. All the included children had attended kindergarten classes at French-speaking state schools in Quebec during either the 1986-1987 or 1987-1988 school years. The network perspective—an approach by which investigators gauge and conceptualize mental disorders by focusing on symptoms and intersymptom associations (edges)—has become a considerably important method by which clinicians observe the development of psychiatric conditions over years. Investigators sough to explore the network structure of emotional and behavioral symptoms at age 6, its evolution through childhood, and its eventual links to anxiety disorder and major depression in adolescence and early adulthood. Women were the point of focus for the analysis because anxiety disorders and major depression is about twice as prevalent in women than men. However, in childhood, girls exhibit fewer disruptive symptoms than boys, investigators noted. At baseline (mean age= 6 years) 1017 children exhibiting disruptive behavior problems and 2000 children representative of the population were enrolled. Of them, 932 girls had completed the Social Behavior Questionnaire at the ages of 6 (baseline), 8 and 10 years. Just 780 girls were interviewed by clinicians to assess mental disorder presence at either age 15 or 22. Investigators analyzed data from December 2016 to April 2018. In the 780 participants assessed for mental disorders, 270 (34.6%) had developed anxiety disorders and 128 (16.4%) had developed depression. Among the symptoms that clustered between internalizing and externalizing communities, 5 emerged as bridge symptoms between the disrupting and internalizing communities: irritability, blaming others, being disliked, crying often, and solitary life. Once added to participants’ networks, these symptoms were those connected the greatest regularized edge weights (0.015-0.076) to future anxiety disorders, investigators noted. Particularly, bridge symptoms including not being liked by other children, disobedience, and irritability were positively related to future anxiety disorder diagnoses—a finding consistent with a meta-analysis which previously concluded that irritability in childhood is associated with anxiety in longitudinal studies. “Our results suggest that girls may present symptoms, such as kicking, telling lies, and destroying things, but as long as the bridge symptoms such as not liked or irritable are not activated, the risk of later developing anxiety disorders remains stable,” investigators concluded. Investigators advised that bridge symptoms, as potential early targets in general disease-prevention and health-promotion interventions, should be investigated at a greater length. The study, "Emotional and Behavioral Symptom Network Structure in Elementary School Girls and Association With Anxiety Disorders and Depression in Adolescence and Early Adulthood," was published online in JAMA last week.